SAPERE’s partners have adapted the original method to suit their different countries. The teaching approach varies depending on national culture, children’s age groups, stakeholder expectations, how the schools are organised and what resources are available. But the spirit of it and the objectives remain the same. And in every country, SAPERE validates the adaptation of the method and guarantees its effectiveness. 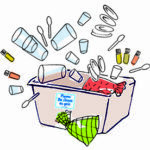 In France, those who have received SAPERE training can obtain a box of useful equipment to help deliver their classes or workshops (essences for smell, mystery gloves for touch, cups for tasting, a CD of sounds to listen to etc). 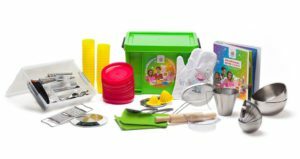 In the Netherlands, teachers are first introduced to the method at a workshop where they receive a pack with documentation and teaching resources to use in class. In Sweden, a teaching manual was published in 2000 by Stina Algtoson and Ulla Hagman, called Mat för alla sinnen – sensorisk träning enligt Sapere-metoden (Food for the senses: Sapere method sensory training). 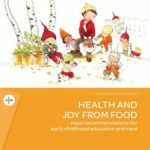 Another manual for nurseries was published by Stina Algotson and Åsa Öström in 2010: Sinnenas Skafferi (Food and the senses). SAPERE practitioners and scientists interested in taste education share insights and experiences so that we can continue to evolve SAPERE resources.